Yesterday, the government made public the set of internal rules that are used to compile the list of names on the infamous No-Fly list. Now, the right of U.S. citizens to move among and between the States has its roots in the U.S. Constitution. The Commerce Clause, the Comity Clause, and the Due Process Clause are all the fundamental laws on the right to travel. When the government tells citizens of the U.S. that their right to unfettered travel has been removed, it gets civil and human rights groups, as well as business interests to take action. And it has. The fact that air travel is only one of many ways to travel makes the No-Fly rules difficult to challenge constitutionally. Those alternative methods of transportation keep the No-Fly rules insulated from primary constitutional law, but not from the rule making Due Process Clause (which is the rule making law). In fact, the Due Process Clause is what is behind the apparent open view policy, which forced the Justice Department and the Transpiration Department to make the No-Fly list rules public in the first place. And although the rules have now been made public, there is no reason to believe that the screening process will become lenient, but at a minimum, the public will see more transparency in the process by which the who, why and when of how names are placed on the No-Fly lists and how they are removed. As we know, security on domestic air travel is a government function. Screening, for national security purposes, was done under the procedures set out in a document, previously secret, identified as “Watchlisting Guidance.” The procedures were most recently updated in March 2013, and were not available to public scrutiny. All that changed when an online magazine, “The Intercept” obtained “Watchlisting Guidance” and revealed that they had the document. The response from Attorney General Holder was to make the document public. This response is in itself of no real consequence because the next day the internal document and its guidelines were reportedly re-issued and remains secret. 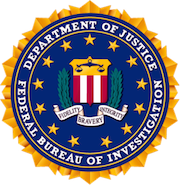 For you to see the skeletal documents that outline the purpose directed policy, one can refer to a 2011 document, which contains a set of rules that the F.B.I. disclosed previously. Other places to look for a quick read are an affidavit from Attorney General Eric Holder and the ruling from a Federal Court judge in Oregon. Attorney General Holder has maintained that the Watchlisting Guidance should remain out of public scrutiny, and the courts are most likely not to force the document into the public domain. What is, however, of both practical and legal significance is that the government is yielding to transparency over secrecy, and still striving to maintain a high level of security for domestic and international air travel. For individuals, it means that a process and procedure may soon be in place for those who are banned from plane travel to have their status reviewed in a rational and considered forum. Either the government will accede to this or face continued legal battles for a process to review. Where’s The Good In Goodbye! Ever wonder why some sentences are longer than others? Have you or one of your “peeps” (peoples) been sent to the big house for an extended stay, while others seem to breeze in and out with more major convictions? Wonder why or do you know? The sentencing process, when one is before a judge and pleading for mercy, does not begin with a well suited lawyer, it begins with a well prepared lawyer. When was the last time any lawyer you know wrote a sentencing memorandum? I’ll wager never, unless I’m your lawyer. Sentencing memorandums are the Holy Grail to a lighter sentence. Why you ask? Why indeed! The answer is that judges hate them because it means that an appeal is next, and to avoid an appeal most judges will sentence on the low end of the guidelines and leave for another defendant that old thrown away key sentence. Lawyers know this but don’t do it because it takes up time, time they need for golf or relaxation. So here’s what you do: If you are interviewing a lawyer for a criminal case ask her/him to include the promise of a sentencing memorandum in the retainer agreement. It can make a big difference when the pedal meets the medal and it’s time for a reservation in a State residence. Know now and you’ll do better. And, knowing more means buying my app on the Apple Store for you iPad and iPhone: CRIMINAL LAW 101 by Ralph Behr. As of July 2011 after only seven months there were over 1000 copies downloaded and only one buyer asked for their money back…..and he was from England! Florida criminal statutes for cocaine possession have three basic levels: one for cocaine users (small personal amounts), a second level is for those who sell or give cocaine to another (for free or for money), that is called “delivery” or “sale”. The third level, which carriers a thirty –year sentence is for trafficking in cocaine. Drug trafficking statutes (whether for cocaine, marijuana trafficking, oxycodone trafficking in Florida, or any other controlled substance) are for those “in the business”. Trafficking starts when the amount of the drugs exceeds a weight or pill count set in the various drug trafficking laws in Florida criminal law. Drug trafficking enhancements, which can lead to a life sentence or even capital punishment when trafficking includes a death either by a participant or under the felony murder rule, armed trafficking and “king-pin” cocaine trafficking (significant amounts by weight of cocaine), Federal criminal drug trafficking laws carry similar enhanced punishments when weapons or guns are used, displayed or discharged. Florida criminal laws pertaining to controlled substances are similar for marijuana, so called “designer drugs”, methamphetamines ( and variants such as mixtures, salts and compounds), ecstasy, and other controlled substances as are listed in Florida drug laws. If you, or someone you know, have been arrested in Miami, Broward County (Fort Lauderdale) or Palm Beach (Boca Raton, Delray, and West Palm Beach) you should speak with a South Florida criminal defense lawyer. If you are under twenty-one years at the time of sentencing you are eligible in Florida to request your criminal case be sentenced under Florida’s Youthful Offender Statute. Crimes committed in Florida by those less than twenty-one years old on the date of their sentencing can be sentenced under the Punishment Code under this statute. Prior to 2008 the statute only required that the offender have been under twenty-one at the time of the offense. For reasons best known by the Legislature, but beyond common sense, the law was amended to require that the sentencing be done before one’s twenty-first birthday. This cruelty forces young people to plead out otherwise defensible charges if the delays of court will take the case beyond their twenty-first birthday. Florida’s Youthful Offender Statute limits the sentence to six years. The Judge can combine multiple criminal sanctions (prison, probation, community control) but cannot exceed six years of any combination and permutation of these sanctions. If you are accused of a crime in Florida and you want to seek Youthful Offender status you must plead guilty or be adjudicated guilty at trail, and then ask the Judge to sentence you under the Youthful Offender statute. The obvious problem is if you are not guilty or have a legal defense you cannot pursue them. Secondly: the Judge will not tell you if he intends to sentence under the Youthful Offender statute before you plead guilty. You therefore have no assurance that the Judge will agree to limit sentencing to six years until after the guilt phase is over. Your South Florida criminal defense lawyer can ask the Judge for an indication that Youthful Offender Status will be granted but Judge’s are under no requirement to decide to grant Youthful Offender Statius until after the defendant has been found and adjudicated guilty. What Does Sealing and Expunging Criminal Records Do? Sealing and expunging criminal records is available in Florida. Florida has a method of sealing end expunging criminal records: your South Florida criminal attorney can explain the statute. Sealed records exist but cannot be viewed without a court order. An expunged record is as close to a legal deletion as can be obtained. Many people after the economic hardships which began in 2007 have paid fees and incurred the expenses of sealing and expunging criminal records in the hope that it will help them find a job. Seek a consultation with a Florida criminal lawyer before you begin what is a lengthy, expensive process which may delay your entry into the job market. Ask questions like: “What legal effect does a sealing or expungment have?”, “Can an employer find out about my history?” “What is the difference between a sealing, expungment, and what is the difference between a criminal history and a criminal record?” Since the advent of the internet much personal information is available online and is sold and re-sold by companies that, for a fee, will sell you background information about anyone. If your purpose in seeking a sealing or expungement of your criminal record in Florida is to make it “go away”…understand that nothing ever goes away once it is published on the internet. Call any South Florida criminal defense lawyer and invest the time before you spend your money. Most of us are familiar with having a criminal record sealed or expunged. The process can take 3 to 6 months involves two court hearings and certified records obtained from The Florida Department of Law Enforcement. Most lawyers because of the work involved charge anywhere from 3 to 5 hours for the motions, letters, and court appearance at the hearings. Sealing and expunging has limited use today because so much of the information about our pasts is freely traded on the Internet. Having your record sealed and expunged in the courthouse is often never even found during background checks. There is another method and it’s called administrative expunction. In many ways it is better than sealing and expunging because the net result is the record is administratively erased. Ask your South Florida criminal defense attorney to explain the distinction between an administrative expunction and a sealing and expunction. Two years ago the law was amended to make it easier to obtain an administrative expunction. Previously you were required to obtain a letter from the police agency, which is often impossible to obtain. The amended statute permits the judge to enter an administrative expunction based on a finding that there was no basis for the arrest, or the arrest was a mistake. To have your record sealed and expunged requires only an application, but no proof of innocence; that is the critical distinction between sealing and expunging and administrative expungement. The landmark case known as Miranda is still controversial and may come under attack and review by the present United States Supreme Court. Several cases addressing the Miranda precedent are moving up to the United States Supreme Court, and our current Court has indicated that it is willing to reconsider Miranda and may change the law. The Miranda case stands as a beacon in the criminal law field; it is a light that underpins the perception of American justice as fair. If Miranda falls then so falls 50 years of American justice. It would be a grave misfortune for all Americans if Miranda is overturned. Why? Miranda is largely symbolic in the minds of Americans.. Miranda stands for the idea that the individual has the right to hold police accountable to follow the law. Prior to Miranda there was no remedy for police bullying. Prior to Miranda the constitutional rights Americans’ hold up as a light to the rest of the world had no real meaning. The fall of Miranda is more than just a step in the wrong direction it is and will be a step backwards where the individual has no effective way to make the State follow the constitution.